A Tiger lost in the Woods. It’s always risky business writing-off a champion, regardless of their chosen sport and the circumstances surrounding their loss of form, so I write these words tentatively. However, as the once feared Tiger Woods enters his 15th season on the PGA Circuit, serious questions are being asked as to whether or not he has the ability to bounce back to the Tiger Woods of old, and once again become a dominant force on the PGA Tour. When his past marital infidelities came to light in December 2009, with massive worldwide media coverage which would eventually last for several months, Woods announced an indefinite break from competitive golf at the end of 2009. However he apologised for his behaviour at a news conference held at PGA Tour headquarters on the 19th of February 2010 and also revealed that he would be making his comeback and playing in the 2010 Masters. Things however haven’t returned to normal for the 14-time Major winner, who before the controversies, was widely tipped to pass Jack Nicklaus’ all-time record of 18 Major victories. Woods is still five Major titles away, a target that hasn’t altered since his win at the 2008 US Open Championships. The statistics highlight just how far Woods has slipped since (arguably) the biggest scandal to hit professional sport was revealed. Golf is certainly one of just a few sports where age doesn’t necessarily play a pivotal role in determining results (or lack of), however even Woods must be aware that as he approaches his 36th birthday, time is slowly starting to run out in his quest to break Nicklaus’ long-standing record. Like Michael Jordan, Shane Warne and various other sporting champions of recent decades, it’s quite possible for athletes to return to the top of their respective sport after a prolonged break. Those close to Tiger will be waiting with bated breath for that all-important next tournament victory. 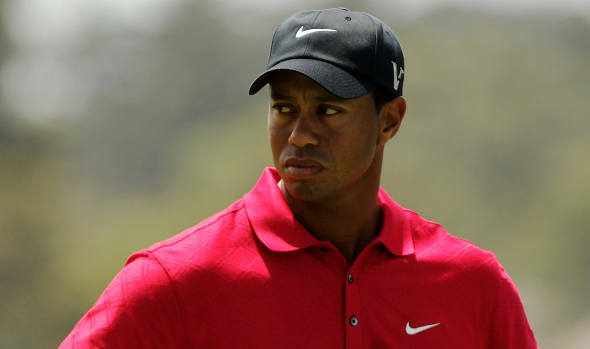 However as every unsuccessful tournament goes by, the seeds of doubt in Woods’ mind will continue to grow and like the so-called golfing experts who claim his best is behind him, he too will wonder if he’ll ever return to greatness.